California Duck Hunting at Colusa refuge and Refuge reports with color maps,information on how to hunt Colusa and also the best Duck Hunting areas and Duck Hunting clubs with duck blind lease, rents and membership. GET OUR WEEKLY DUCK REPORT,NEW MAPS AND OPENINGS IN CLUBS OR RANCHES IN YOUR AREA! Colusa Refuge. The reason hunters at Colusa National Wildlife Refuge enjoy some of the best public duck hunting in the Sacramento Valley is simple: location. The area is a natural haven for ducks amidst an alarming array of cities, duck clubs and neighboring refuges. It sits lower than the Sacramento NWR, Sutter NWR and Delevan NWR, consequently attracting a whole lot of ducks looking for a safe spot to rest on their way south. Duck Hunters at Colusa commonly do better than at other Sacramento Valley refuges. Last year, despite gloomy predictions of low duck numbers in the Paciﬁc Flyway, waterfowlers managed to bag better than two birds apiece overall for the season at Colusa. Stay tuned for our refuge reports as the season progresses. Wildlife biologists explained that the refuge is located in what is commonly known as the Colusa Trough or the Colusa Basin. In layman duck hunter terms, that means ducks would prefer to ﬂy through here than just about any other spot in the valley, especially later in the season, when they’re in a hurry to get south. Like the sawy steelheader who ﬁshes the “slot,” the hunter who works the “trough” is bound to take home more game. December and January are traditionally the best times to hunt Colusa. Because the Colusa Basin is a natural marsh belt with everything the traveling duck wants built in—water, food and a place with cover to rest—it’s the perfect spot for the skilled decoy hunter. Hunters who know their decoys deﬁnitely have the advantage here, and consistently shoot good numbers of birds when they’re in good numbers in the valley Refuge sources indicated that although a dozen dekes are a recommended minimum here, and some waterfowlers work elaborate sets of six dozen or more, two dozen mixed magnum-sized mallard and pintail decoys will usually do the trick. Remember that the more decoys you take out, the more time it will take to set up, and the less time you’ll have to hunt. Most of the birds here are mallards, pintail, widgeon and green wing teal. Hunting is allowed on both the east and west sides of Ohm Road, and although the east side generally provides the better shooting, “hot spots” change as birds utilize different neighboring ﬁelds for feeding and resting. That‘s why scouting the area a day or two before the hunt can make the difference in the bag. Higher water levels are at Colusa because the Basin is lower than most other refuges, it seems to collect more ducks and offer better results than other Sacramento Valley refuges. Locals say “there's water here when there’s no water anywhere else. " Flooded areas between Ohm Road and the district boundary towards the Reclamation District Main Canal get hot. Stay tuned for our refuge reports as the season progresses. As elsewhere, cold storms in December and January bring hot hunting. Local mallards key the early season with teal, pintail and wigeon most common. You can jump shoot and pick up a good number of pheasants east of Ohm Road. With lots of water and heavy cover you need chest waders to get to the really remote areas during the prime late season period when runoff deepens the ponds. A number of shallow ditches make wading “interesting” once ﬁelds ﬂood. So watch your footing and consider a wading staff after storms. 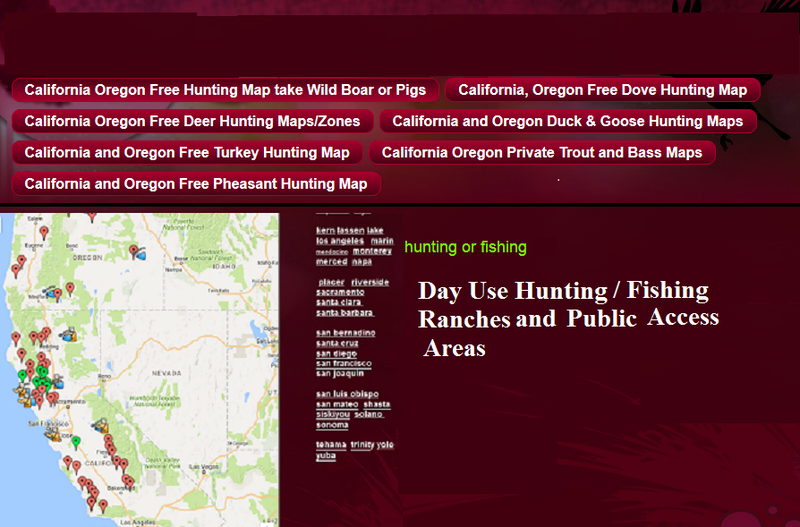 Refer to our Refuge Hunting Map for more info. The hot spots vary. Flooded areas between Ohm Road and the district boundary towards the Reclamation District Main Canal get hot. Then birds move to the ponds between Abel and Ware roads just west of the Hunter Contact Station. Suggest you drive over the night before, sign up for the sweat line and take time to scout for ducks just before dark. 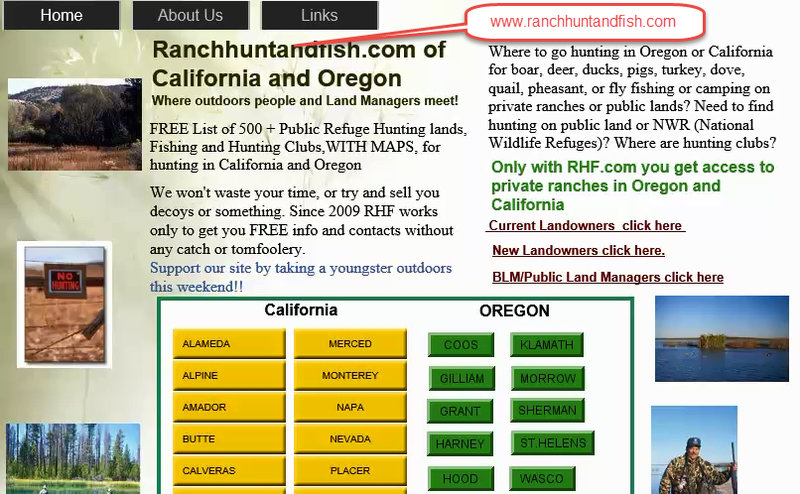 Refer to our Refuge Hunting Map for more info. This approach works at Sacramento NWR too. More on decoys: Three or four dozen are about right for two hunters and scattered spreads with lots of confidence decoys are particularly useful on larger ponds. However, when it blows hard, we do better with six to a dozen dekes in sheltered watertight against the bank on the upwind side of big ponds. Potholes seem to pull ducks in when it blows too. The Colusa Check Station opens between 3 and 5 p.m. the day before Wednesday, Saturday and Sunday shooting and stays open all night. It’s open all day Saturday and Sunday too. The quota is 80 guns at a time per day. “Sweat lines” seem short midweek and when the weather is sunny and clear. lf you arrive at 3 a.m. or so you can usually get on by the opener. lf it’s stormy, you may not make it until noon. If you do not wish to sleep in your car, lodgings, meals and supplies are available in nearby Williams or Colusa. Refer to our Refuge Hunting Map for more info. Stay tuned for our refuge reports as the season progresses.